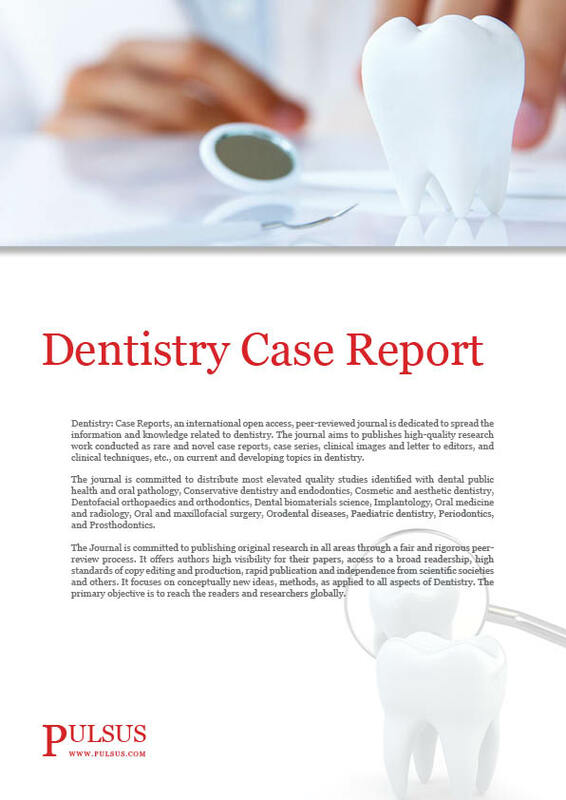 Dentistry Case Report aims at rapid publication of high quality results in the field of dentistry while maintaining rigorous peer-review process. The Journal publishes original research papers, review articles, rare and novel case reports, and clinical techniques related to dentistry. Its scope covers high quality and rationale research pertaining to the benefit of dental sciences, especially detailing the applied clinical aspect. The journal allows free access (open access) to its contents. Manuscripts are invited from all specialties of Dentistry i.e., conservative dentistry and endodontics, dentofacial orthopedics and orthodontics, oral medicine and radiology, oral pathology, oral surgery, orodental diseases, pediatric dentistry, implantology, periodontics, clinical aspects of public health dentistry, and prosthodontics, etc.